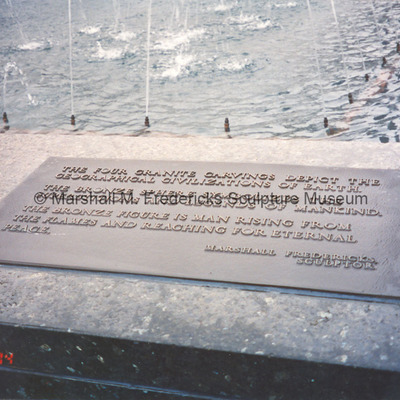 Plaque at the "Cleveland War Memorial: Fountain of Eternal Life"
Plaque reads: The four granite carvings depict the geographical civilizations of Earth. 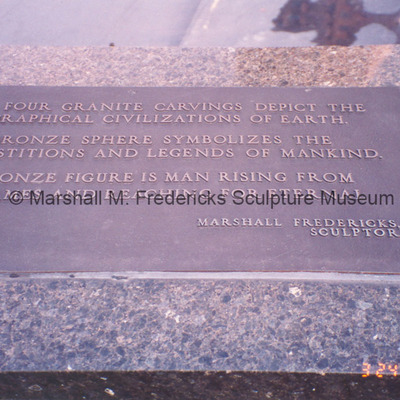 The bronze sphere symbolizes the superstitions and legends of mankind. The bronze figure is man rising from the flames and reaching for eternal peace.